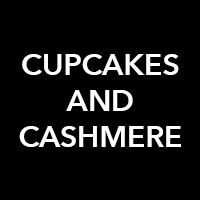 Inspired by her love of design, fashion, and entertaining, founder Emily Schuman created the blog Cupcakes and Cashmere in March 2008. As her audience grew, she parlayed her success into partnerships with brands and major retailers, which paved the way for her own branded clothing, bedding, and lighting lines. At the same time, she always imagined a dedicated site that would house all of her favorite things. Nine years later, she launched Shop Cupcakes and Cashmere, which carries her clothing line, as well as exclusive collaborations and hand-selected apparel, gifts, and homeware.